Crackle Fern Green Finish.10" Globe. Hand-blown Glass. Sealed at the bottom for longevity.Named "Spheres of Light" by Antonio Neri in 1612, they are most commonly known to fend off misfortune and deliver happiness and joy. The first gazing globes date back to 13th century Venice. 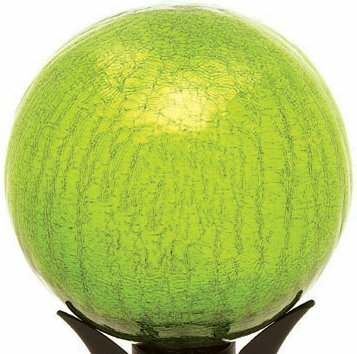 Add color, charm, and good luck with the crackle gazing globes of Achla Designs.